The people at Clif Bar love food. They love learning about it, talking about it, cooking it, eating it and sharing it. It is their belief that good, healthy food is a source of energy and joy for all to partake in, and as long as it is made right, food makes the world a much better place. 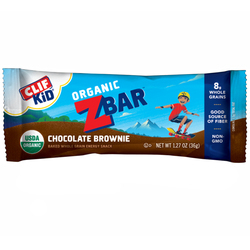 Clif Bar uses organic ingredients to create the kind of food that promises to propel your adventures. Grown without synthetic chemicals or pesticides and free of high fructose corn syrup, trans fats and hydrogenated oils, Clif Bar makes food that is good for your body, your soul and your planet. 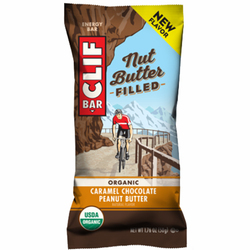 Clif Bar gets its name from the founder’s father. Clifford was Gary’s father, hero and companion on many adventures through the Sierra Nevada Mountains. The experiences and good times that nature provided for them stuck with Gary. Later, in 1990, Gary was on a long bike ride with his buddy and they had been chewing on some energy bars when suddenly, despite Gary’s hunger, he became unable to take another bite as he proclaimed, “I could make a better bar than this!” So, after two years in his mother’s kitchen and countless trials, Gary created an energy bar that was not only better tasting, but also better for you and our earth. When you are on an adventure and hunger strikes, there is still no better solution than the good old fashion Clif Bar. 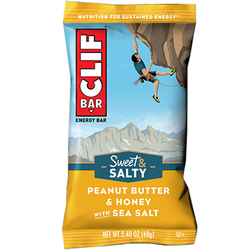 The now iconic Clif Bar is a premium source of energy that is more filling than you would expect, and of course there are numerous incredibly tasty varieties available. 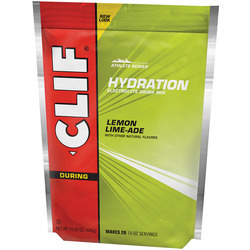 If you need a serious boost in a hurry, the Clif Shot Gel is the way to go. The nutrient rich shot gets in your system quickly to provide you with the energy you need to power through. 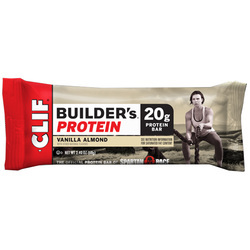 The Clif Builders Protein Bar is a solid choice when you are on the trail. 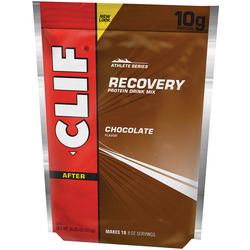 Loaded with the stuff your body needs to recover and perform at its peak again quickly, Clif Builders Protein Bars are made for those who go all out. Clif Bar camp food of all types provides you with everything you could need to refuel while experiencing nature. Today, Clif Bar is still striving to make everything better. Sure, that means their food and their company, but they are also trying to make you better. By fueling your body with Clif Bar products, you give yourself the satisfying and filling energy you need to properly enjoy all your favorite outdoor activities. While it is up to you to choose their food, Clif Bar will continue to connect advocates of sustainable growing, strengthen communities and make the best food possible to fuel your passions. Whether you are hiking, trail running, backpacking, cycling, skiing, snowboarding or skateboarding, camping Clif Bar will give you the energy you need to make your activities last longer.